Due to our continued growth, we are thrilled to announce that Claire Gatley has joined our Family Law team. Claire will play a vital role in assisting our principal family lawyer, Chris Bowen, building on the excellent work that he has been doing and continues to do. Having graduated from Staffordshire University, Claire joined us here at Thorneycroft in January 2013 as a paralegal, before undertaking her training with the practice and qualifying as a solicitor in May 2017. Prior to transferring to our Family Law team, Claire had been working predominantly with compensation claims. Principal family lawyer Chris Bowen is delighted to have Claire on board. Commenting on her appointment, he said: “I am very pleased to be welcoming Claire to the Family Law Team for two particular reasons. Firstly, she brings with her a great deal of experience of managing cases as well as her expertise in handling the process of dispute resolution. She also has excellent knowledge of the systems we use in the practice. This will be of great benefit in assisting me in conducting cases and will enable us to provide a more efficient and cost-effective service to our Family Law clients. Secondly, the fact that we need an extra pair of hands is firm evidence of the successful growth of the department over the last five years. We began with just a handful of cases and we have become a very busy department providing help, advice and representation to a significant number of clients throughout the UK, at what is inevitably a very difficult time in their lives. 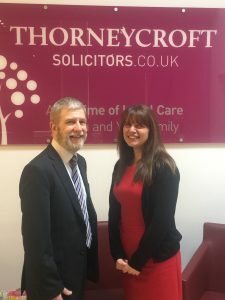 I am sure Claire will assist in the continued growth and success of the Family Law department at Thorneycrofts and be a great asset to both the firm and future clients alike”. 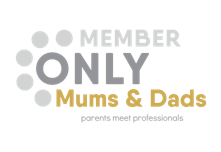 You can view our full list of Family Law services by clicking here. Alternatively please complete our online enquiry form or give our team a call to discuss your case on 0800 1979 345.